It was May 2015 when Frontier Developments “Elite: Dangerous” was released on to Microsoft’s Xbox Preview Programme. We were given a game that had been in Beta on PC for a while and had already had some tweaks. The Wings and Powerplay updates had been implemented and we were all set to indulge in our childhood fantasies of living a life as a intergalactic citizen. This is was a fairly new realm for the console community, A fully functional Massive Multiplayer Online game. Whilst there was the ever present “solo” mode, we were all thrown into open together with 100k credits, a sidewinder and not a clue on what to do next. This new frontier was excitement and frustration at all times for the committed community that rapidly formed across Reddit, Facebook and the Frontier Forums. We asked each other questions, looked for advice and shared countless videos of our exploits and the often hilarious bugs the game had to offer at this early stage of its development. Unfortunately, as social media often shows us… things started to get ugly in the community as people started to discover what they were most proficient at or where they got the the most fun from within the game. Now I don’t want to throw the word “griefing” around too much in this… however it has been a large point of contention within the game. With players quoting definitions from other gaming communities (mostly the definition that suits their own dogma best). For me within Elite, griefing can be defined either as deliberately going out of you way to ruin another player’s game (Ramming in stations, Interdicting and running away and ganging up on players that stand no chance of competing with you) or alternatively I think Elite is a game where to the majority of players immersion is the lion’s share of why people love the game. Therefore when people are attacked and can’t apply a logic that fits into the narrative of the game they are playing… the feel aggrieved. Now like it or lump it, this behavior has led to a rise in another form of play that angers the player base. “Combat logging” has become an endemic problem in the game. There is no denying that a lot of gamers have decided that in the heat of the situation they’ve worked too hard to get where they are and can’t afford losing the credits to pay the insurance on their ships. So maybe someone quickly goes to their dashboard and opens Halo to force quit the game. I’ll say it straight away, It’s cheating. There are no two ways about it. Unfortunately the community is spending all its energy expressing its opinion on why it’s ok and why it’s not. (I promise I won’t bore you with paraphrasing those arguments here) However, I feel Frontier have a lot to answer for here. The development team have included game mechanics that should work for all gamer styles, but some of them have definitely missed the mark. 2015’s Powerplay update was intended to promote Player versus Player combat and unfortunately this update completely missed its target. Instead the PvP intent gamers are congregating at the weekly Community Goals (which bar the occasional Imperial versus Federal are intended so that we have Player with Player experiences). This chasm in gameplay is leading to bored players attacking players that are trying to complete these community goals and hope to meet new players in the open server of the game. We are faced with a cycle of social media backlash. Almost daily threads with over 200 comments in which mud is slung from side to side about the actions of all participants. Be it an argument because some Combat logged or that a pilot was “ganked” by four players in over engineered ships (we’ll get to engineers later). Page admins are fighting tooth and nail to attempt to keep conversations civil and more often than not threads are closed down and no understanding or resolution is ever made. I’ve avoided a lot of this by playing in a Private Group for a large percentage of my time in Elite since their inclusion in the 2.0 (or 1.6 if you didn’t buy Horizons) update. There are a number of groups with very successful private servers from Mobius with their 100% PVE server to our very own PwP server The Galactic United Nations, or G.U.N.. I was introduced to the Player With Player mentality by Elite’s “Hutton Truckers” who have been promoting this style of gameplay since the early beta incarnations of the game. 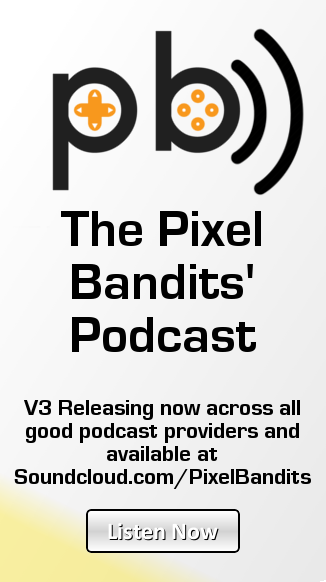 We at the Pixel Bandits have been promoting our Server as a place where PvP and Piracy is welcome, and recent collaborations with Pirate factions will see the dream of our group hopefully become a reality. I do miss open play, those moments of seeing a commander on the radar and not knowing what would happen next are amongst the greatest experiences this game can provide but the rise of certain PvP groups and all of the mud slinging which it can breed (from both sides) on social media, leaves a bad taste in the mouth and let’s try to remember that we all purchased this game to have fun. I have promised myself I’ll spend more time in open, but if Frontier don’t address the issues around both griefing and combat logging, I can see myself getting bored of open once again, and move back to private groups and just enjoying the game as it was intended to be played… together. Apologies if your comment got nerfed. If you’d care to post it again we do value comments made by genuine people, however our Spam count from random comments is huge (roughly 200-300 or so comments a day which are total spam and virus laden) so generally we just remove all as we don’t have time to sift through them. 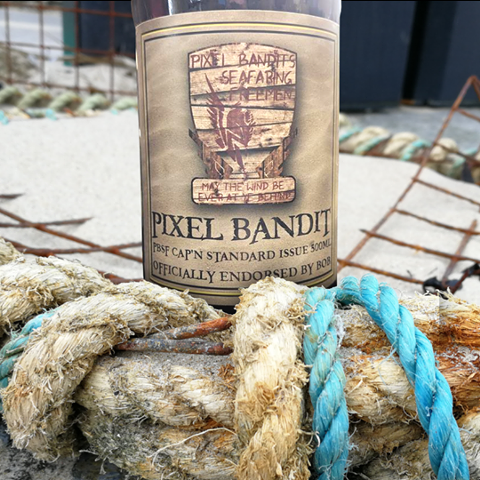 You can also comment on our social media which is completely spam free at http://facebookcom/pixelbandits and http://twitter.com/pixlbandits where comments are only moderated if they are deemed offensive in terms of discrimination etc.